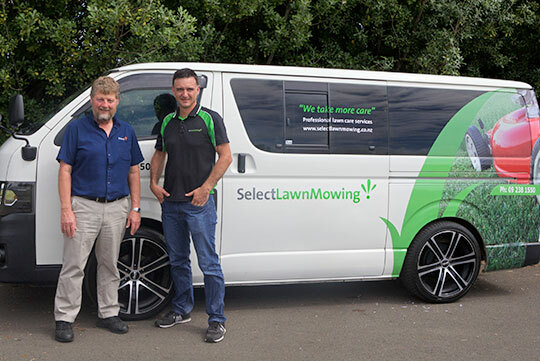 Established in 2006 to cater for the burgeoning market for premium lawn mowing services, SelectLawnMowing offers high-quality lawn care services to both residential and commercial customers. Once the domain of high-income households, the majority of customers are now those who are simply too busy to mow their own lawns. The Select model is designed to not only provide customers with a consistent, quality service but also to ensure that all operators are security cleared and trained to the highest possible standards with an emphasis on quality control and reliability. Property maintenance is a worldwide industry that is experiencing rapid growth and New Zealand is no exception – it's a business opportunity that’s ‘tailor-made’ for franchise owners. SelectLawnMowing is a business that offers a wide range of people the ability to build their own businesses within a tried and tested system. So if you're looking for a reliable and trustworthy lawn mowing service of the highest standard at affordable prices, give us a call, we'd love to work with you.